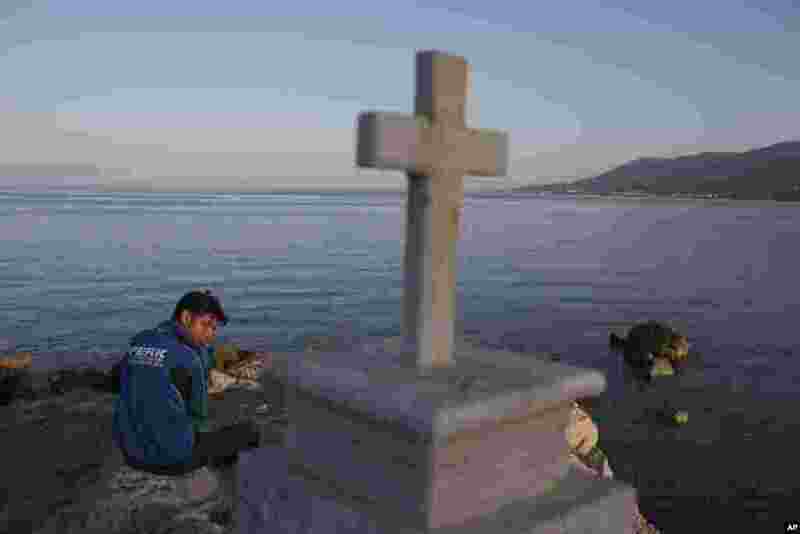 1 A Pakistani migrant stranded on the Greek island of Lesbos sits behind a cross near the port of Mytilini. Pope Francis will visit the island Saturday joined by Ecumenical Patriarch Bartholomew and the head of the Orthodox Church of Greece, Athens Archbishop Ieronymos II. 2 Rescue teams search through damaged houses to check for trapped people in Mashiki, Kumamoto prefecture, southern Japan. 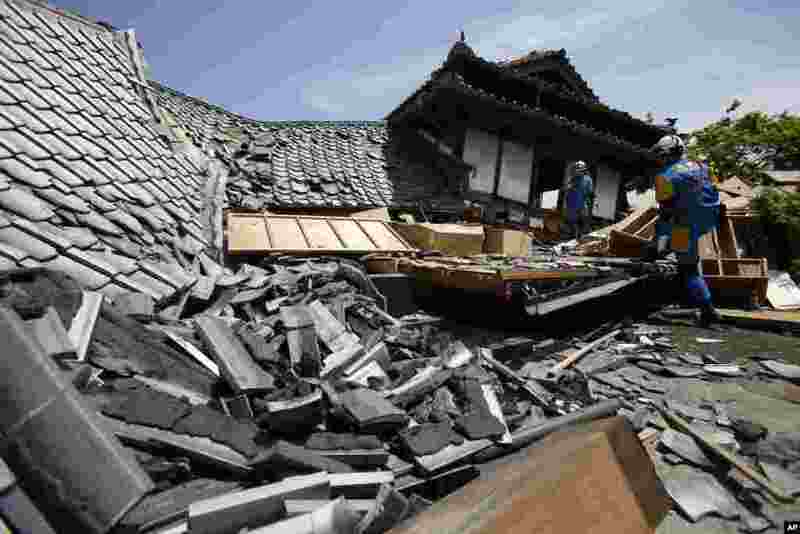 Aftershocks rattled communities in southern Japan as businesses and residents got a fuller look Friday at the widespread damage from an unusually strong overnight earthquake. 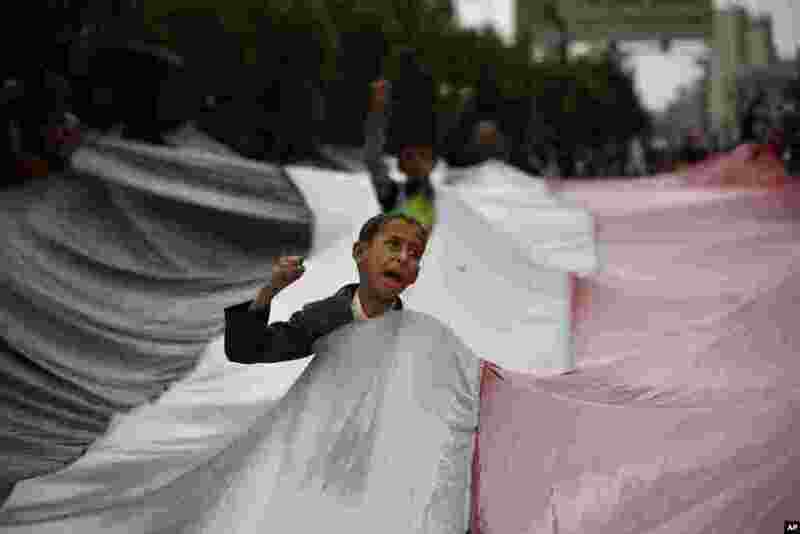 3 A boy chants slogans through a gap in a national flag raised by Shiite rebels, known as Houthis, during a protest against Saudi-led airstrikes in Sanaa, Yemen. 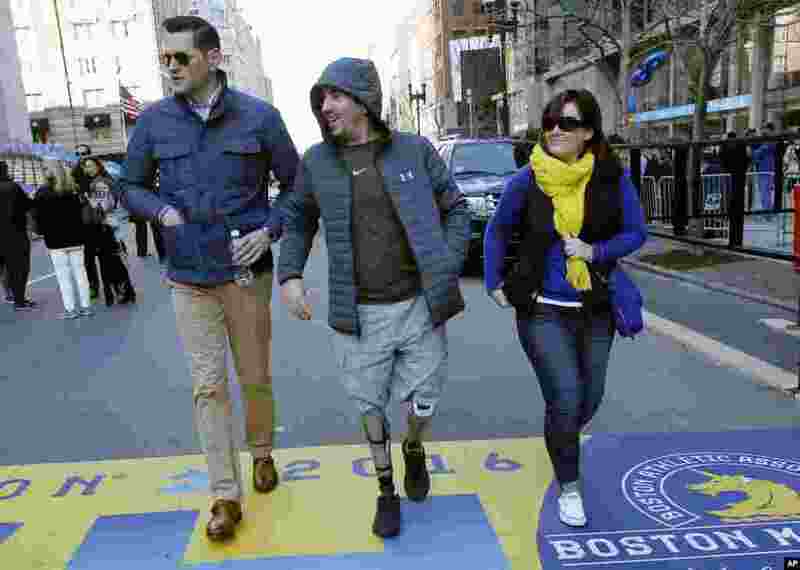 4 Boston Marathon bombing survivor Jeff Bauman, center, walks over the marathon finish line on the third anniversary of the bombings in Boston.